First of all, you may think that roosters only crow during the crack of dawn. That is not true. Fred here in the office, who grew up on a farm, says that their roosters crowed at all hours of the day and night. A rooster crows for many reasons. A rooster crows to claim its territory, it crows to attract hens, it crows to inform hens of food. The rooster also crows to changes in its environment or when it is startled. It can crow when it sees the sun come out, or hears a tractor in the distance, or a cow that goes moooo. Some even say that roosters crow when they see danger. They crow to warn the hens, for example, when a fox wants a hen for dinner! 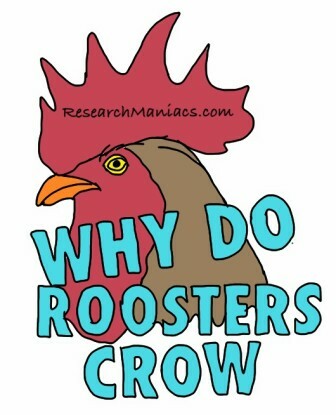 So, now you know why roosters crow.